We caught a screening of “71” this past weekend and were blown away. 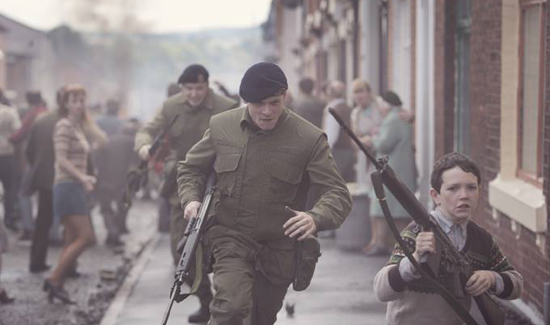 Starring Jack O’Connell—you might recognize him from Angelina Jolie’s WWII film “Unbroken”—”71” tells the story of a British soldier seeking sanctuary after being mistakenly left behind by his unit in Belfast during the 1971 riots. It’s a gripping, intelligent action-packed story that you’ll definitely want to see on the big screen. New York Times movie critic Manohla Dargis agrees: “Mr. O’Connell runs away with “ ’71,” in which his character’s every emotional, psychological and physical hurdle makes for kinetic cinema. Click here for showtimes in your area.